Hello Readers.. I am putting a lot of heart into this article because I feel so sorry for working people like myself who have to rush through the mornings and often do not get time to even relish the first meal of their day, properly. Breakfast is the most important of the day. It prepares and fuels you for everything that lies ahead in the day. Skipping it is an absolute crime. 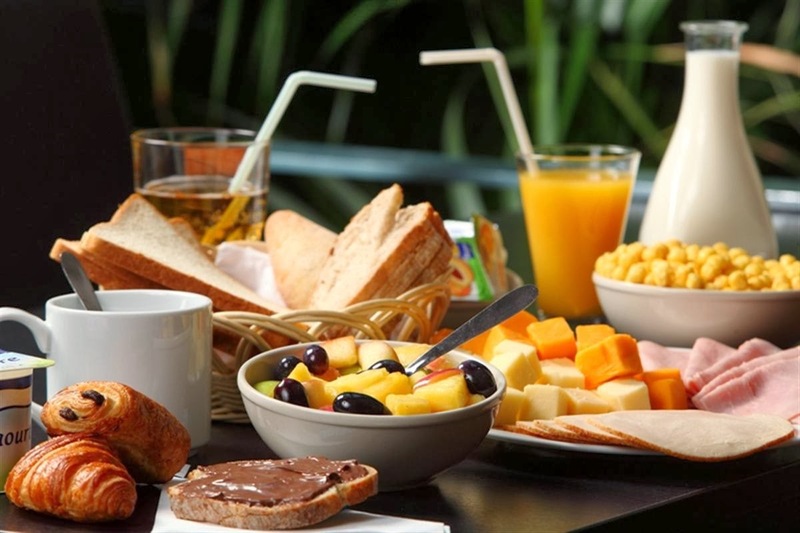 Not only should you eat breakfast but you should also eat it the right way.-It is an old belief that one should take breakfast like a king, lunch like a prince and dinner like a pauper. We often end up doing the same. As a result, the entire cycle of our body gets disturbed. Skipping breakfast or eating insufficiently causes low energy levels and lethargy as well as inability to concentrate during the day. Also, later during the course of the day, you get hunger pangs and that is when you eat more and pile up on unhealthy, empty calories. Taking a heavy dinner causes discomfort in tummy which might lead to aches in stomach or indigestion and flatulence during night. This is a vicious circle and needs to be broken by eating the right things, in right quantity at the right time. Below, I will talk about what and how should you eat in morning to have a good day, health wise. Always, start your day with 2 cups of warm water with juice of half a lemon and 2 tablespoons honey. First of all, it induces a sense of eating healthy through the day. As they say, well begun is half done. Drinking this concoction first thing in morning provides multiple health benefits. It is a simple yet effective way to flush out the toxins from the system. It also helps in boosting energy levels. It helps in debloating your stomach and helps with weight loss to. Lastly, it also endows some skin benefits like a clearer complexion while helping with dark circles, too. People with chronic acidity should avoid it. This has to be followed with normal breakfast after half an hour. No wonder, this tops my list. Fruits are power houses of vitamins and minerals while being extremely appealing to the taste buds. The best options you can try are mixing half a banana, 1 apple and chunks of papaya. All these are packed with goodness and also, make you feel full instantly. You can also take some almonds and walnuts to make it an awesome combo of fruits plus dry fruits. It is better to take fruits as such over fruit juices as you get your fibre too that brings in the fullness factor. You do not tend to overeat during the day. Choose brown bread over white bread as it contains whole grain.-Also, multigrain breads are available in market now a days. Toast two slices of bread add in some pieces of tomatoes, lettuce and cucumbers with your favourite ketchup and gulp it! It is a very nutritious, fat free, fibre and nutrient rich breakfast you can have. Strawberry shake remains my favourite. Due to the sweet smell of strawberries it is something very palatable. You do not need to add in much of sugar due to the natural sugars. Strawberries are rich in antioxidants that help in carrying out various reparative processes of body. If you want to go one step ahead, try using toned or soy milk. Banana shake: Makes you full and satisfied due to its resistant starch. It is a good source of potassium that helps maintain blood pressure. The natural sugars in banana can lessen the need for any additional sugar. That’s a South Indian delicacy with sambhar. Sambhar dal gives you proteins. While, Idlis help you to fill your belly in the healthiest way. They are totally oil free and are cooked in steam. Enjoy your coconut chutney along with. Oatmeal is rich in beta glucans that helps in lowering blood cholesterol levels and ensures you have a healthy heart. Apart from this; oats are also rich in Omega 3 fatty acids, Potassium and folate. These two things have endless ways to make them suitable for yourself. You may add salt and veggies or you may sweeten them with honey and add lots of fresh fruits, dry fruits, low fat milk or even yoghurt. Whatever floats your boat, you can be sure that you are having a wholesome fibre rich, calorie free and fat free breakfast that is sure to keep you active throughout the day. Another one from south Indian platter that needs minimal cooking time and minimum oil plus there is so much you can add to it. You can add dry fruits like raisins, almonds, peanuts, fresh coriander, capsicum, carrots.. and the list goes on. Blend some watermelon in your mixer. Add a little honey and a few fresh mint leaves and enjoy your crusher. Watermelon is a negative calorie food that actually burns more calories in the process of digesting it than it adds. It’s major part is made of water. Also, it is a great source of lycopenes that help you get a healthy heart, preventing cancer and getting a radiant skin. Coconut water, buttermilk, Yoghurt, tea with fibre rich biscuits like Marie or Mc vitties or any other multi grain ones, available out there. You could also pick up a bowl of sprouts with slices of cucumbers and tomatoes. I really hope my readers like these ideas and incorporate them as well. After all, health is wealth… Is not it?